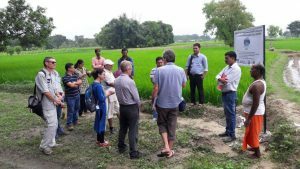 The Australian TV program Landline recently paid a visit to Nepal to do a feature on the research for development programs that ACIAR are undertaking in the region. Improved irrigation and water management for dry season crop production based on collective farming groups. The film crew spent one and a half days at our Saptari sites capturing photographs and video footage of our project and the communities we work with. While only a small amount of this has been captured in the short video clips attached, they provide a powerful reminder of the important of our research program and the programs run by ACIAR. A particular thanks goes to Ram and Manita as well as iDE who facilitated the program on site which has created broad awareness of the work we are doing. Also thanks to our farmers and communities who are always generous in their time to share with others there activities, and show their excitement in our project in the attached images. and the feature shown on Australian TV on 30 July. Female-headed households face new patterns of vulnerability, with an increase in labor burden and limited access to and control over water resources, which is essential for climate resilience. 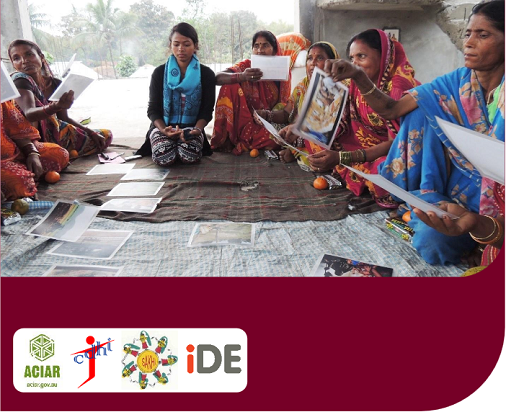 A participatory gender training manual for community groups has been developed to help communities realize the role that gender plays in their lives, and discuss how they can move toward a more equal society. 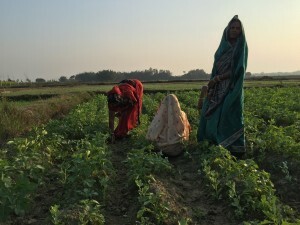 The document was developed, piloted and modified by Stephanie Leder (Postdoctoral Fellow – Gender and Poverty, IWMI) and Dipika Das (previously Gender Coordinator, IWMI/ACIAR) within the project ‘Dry-season irrigation for marginal and tenant farmers in the Eastern Gangetic Plains’ funded by the Australian Centre for International Agricultural Research (ACIAR). The strong support from 12 farmer groups and other project staff are gratefully acknowledged. Please follow the link to access the document. 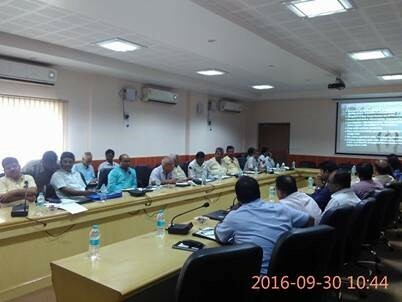 The DSI4MTF project held a very successful mid-term review meeting in Patna 26th to 29th September 2016. There were 35 delegates in attendance from Partner organizations. 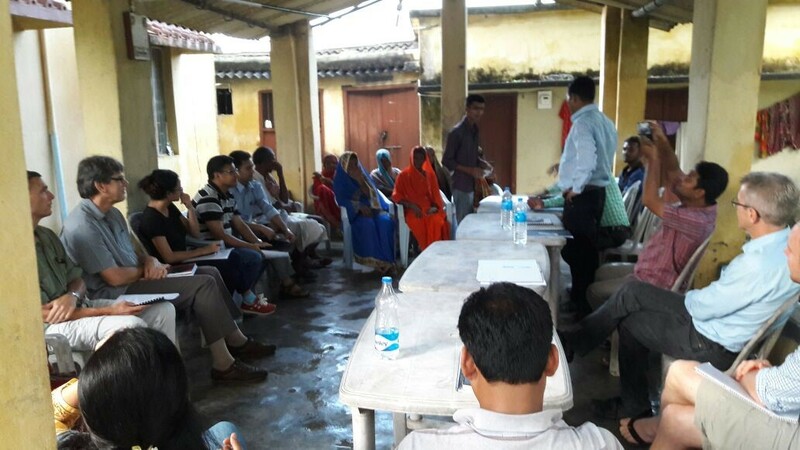 A number of us participated in field visits to Madhubani 23rd to 25th September to meet with farmer collectives and key local stakeholders and to discuss progress in intervention sites. The extent to which farmers have embraced collective dry season farming was impressive. Discussions at Bhagwatipur Site No 1 on project activities. Local farmer groups shared the benefits of operating as a collective which includes labour saving, risk sharing and increased income. Landlords also reported reduced risk and potential for higher rents. There are early signs that neighbouring farmers are also embracing collective farming approaches. Improved irrigation practices and biophysical monitoring programs were discussed on site. A meeting with local government department officials highlighted the difficulties for marginal farmers to access government programs and subsidies. This will be an important issue for the project to address to ensure broader adoption of the collective farming systems. The field visit was very beneficial and there is much optimism as we move into the Rabi season with further expansion into higher value irrigated cropping systems. Capacity development of farmers and increased agronomic support were identified as key issues. 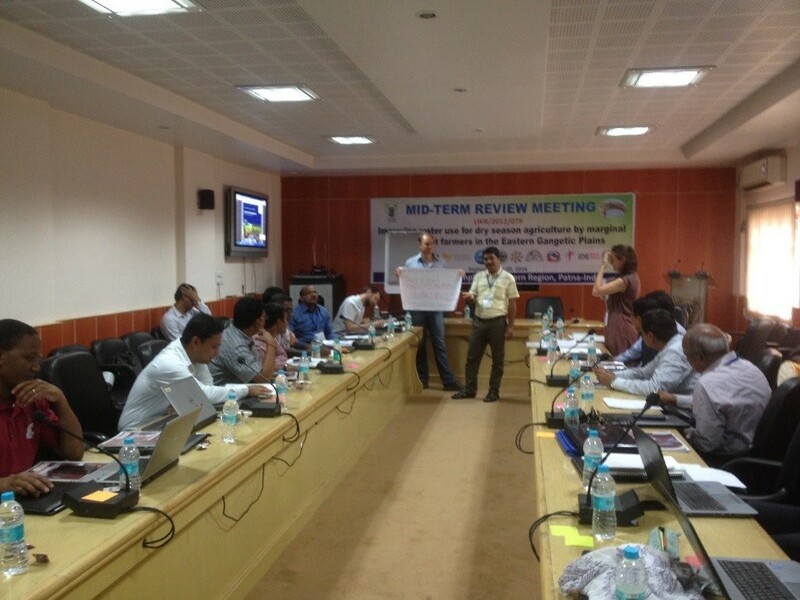 Ritesh Kumar (Sakhi) and Anoj Kumar (IWMI) are thanked for planning and leading the field visit. We were fortunate to have Dr Christian Roth (CSIRO, external reviewer), Dr Evan Christen (ACIAR Program manager) and Dr Kuhu Chatterjee (ACIAR South Asia Manager) participate in the field visit and mid-term review workshop in Patna. Sessions in the first two days were very interactive focussing on regional updates by partners, progress in social and biophysical studies, project impact pathway, training programs, stakeholder engagement and communication. Outscaling and upscaling opportunities were discussed as well as technical aspects of irrigation interventions and biophysical and social impact monitoring. Day three focussed on activity planning and the final day on workshop sessions, covering development of a training and engagement manual, gender training as well as irrigation technologies and site monitoring. Stephanie Leder leading us on in interactive session exploring stakeholder engagement and communication. Group feedback on experiences with technical interventions. Feedback from reviewers was positive with a number of clear recommendations for consideration. Reviewers recognised the huge potential for the social interventions such as the formation of farmer collectives combined with appropriate cropping systems and irrigation management to have a significant impact on food security and poverty alleviation. The strong interdisciplinary science focus of the project was also recognised. This makes research integration, a major focus of all participants, challenging. The complexity and scope of collecting biophysical and social data discussed and the need focus on critical areas was highlighted. Greater focus on early documentation of findings will be important to broaden our influence. Of particular importance will be communicating with farmers and broader stakeholders the outcomes and impact of project activities. The workshop highlighted our early success in demonstrating the benefits of collective farming. It will be important to evaluate and understand the benefits, barriers and risk of the social and biophysical interventions being tested in order to lay a very solid foundation for subsequent out- and upscaling. A focussed engagement plan with key stakeholders will be required to drive upscaling. A successful stakeholder meeting was in fact held by ICAR and Sakhi the day following the mid-term review and a short report on this meeting has been provided separately on this web site by ICAR. Close engagement with farmers to build trust and empowered communities is crucial for sustainable implementation of improved irrigation practices. The importance of documenting these engagement processes was highlighted. 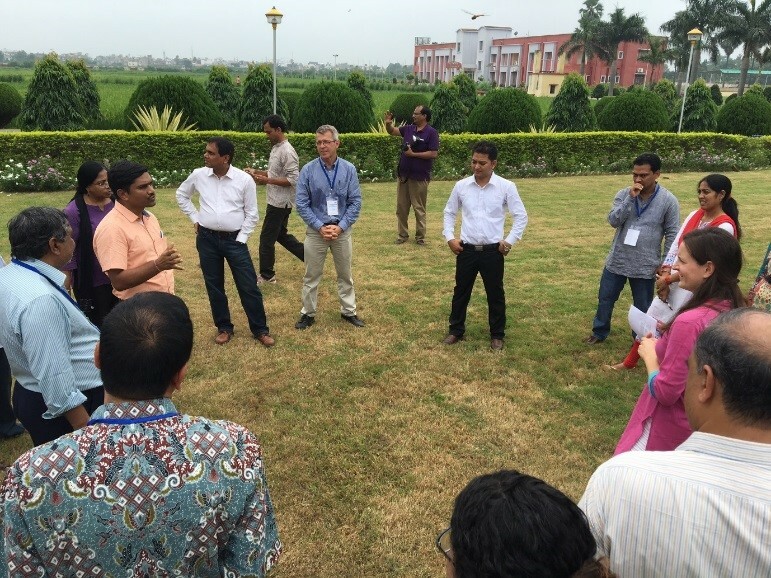 It is good to see a recent article on this web site, prepared by CDHI, outlining a process of community engagement and joint learning at the Uttar Chokwakheti site in West Bengal. Capacity development is critical to both farmer groups, advisors and project participants. It will be important for us to evaluate and document the effectiveness of our capacity building activities. Critically reviewing research strategy, aiming to phase out components that are not fully aligned to primary project objectives and strengthen those that are. Maintaining a strong focus on appropriate technologies and treatments that are most beneficial to farmers with lowest risk of failure. Development of a key publication plan to identify seminal, integrative research papers that will help drive integration within the project and accelerating the write up of planned documentation. Considering a small extension to the project to allow full write up of the project following the 2017/18 Rabi season. Maintaining a primary focus on fully understanding benefits, barriers and risk of the social and biophysical interventions being tested, in order to lay a very solid foundation for subsequent investments in out- and upscaling. Creating opportunities for greater participation by collaborating farmers in data collection. Critically reviewing the project activity and monitoring and evaluation plan to ensure relevance and achievability. The forum was intense, hugely beneficial and I thank all who attended for their commitment and active participation. Much progress has been made that we should be proud of. There remains much to be done by all to drive this important work forward. A special thanks goes to ICAR organising team in particular Santosh Mali and Ajay Kumar from ICAR and Anoj Kumar (IWMI) for making local arrangements for the workshop. During the implementation of the DSI4MTF project over the last two years, staff have learned how to better build collaborative relationships with the community. The strategy of incorporating the insights gained in the early stages of the project seems to be working well. 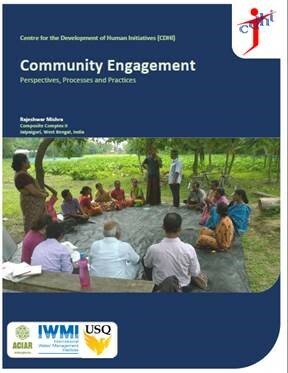 This process merits sharing and further reflection.. We thank Rajeshwar Mishra and CDHI and other project colleagues who have prepared the attached community engagement document – perspectives, processes and practices, which provides highly valuable information on the strategies and processes that have influenced the project so far. The villages our project is working in have very different socio-cultural backgrounds. Uttar Chakowakheti (UC) has been a late entrant and CDHI and UBKV have had to look at different approaches to work with the communities. The attached narrative written by the CDHI team provides an interesting outline on the evolution of engagement at UC, the trust being developed and ownership growing. It highlights the value of these engagement processes with the collectives. Similar insights can be found at other project sites. We hope this description is useful for others to reflect on in the cultures and setting of their communities. A stakeholder meeting for ACIAR-ICAR collaborative project ‘ Improving water use for dry season agriculture by marginal and tenant farmers in Eastern Gangetic Plains’ was organized at ICAR Research Complex for Eastern Region, Patna on 30th September, 2016 with a purpose to create awareness about project activities among the line departments for scaling-up of the final products of the project. Stakeholders included State Government Officials, members of NGOs, IFFCO, Scientists from state agricultural universities, CAU, ICAR-RCER, IWMI and farmers’ representatives participated in the meetings. The forum raised interesting discussion points and highlighted the many opportunities to improve dry season irrigation and production for marginal farming communities through collectives. More details on discussions are included in the attached. Partners are following up with key agencies where there is opportunity to positively impact the out and up scaling of our work. How are we going in answering our key research questions? 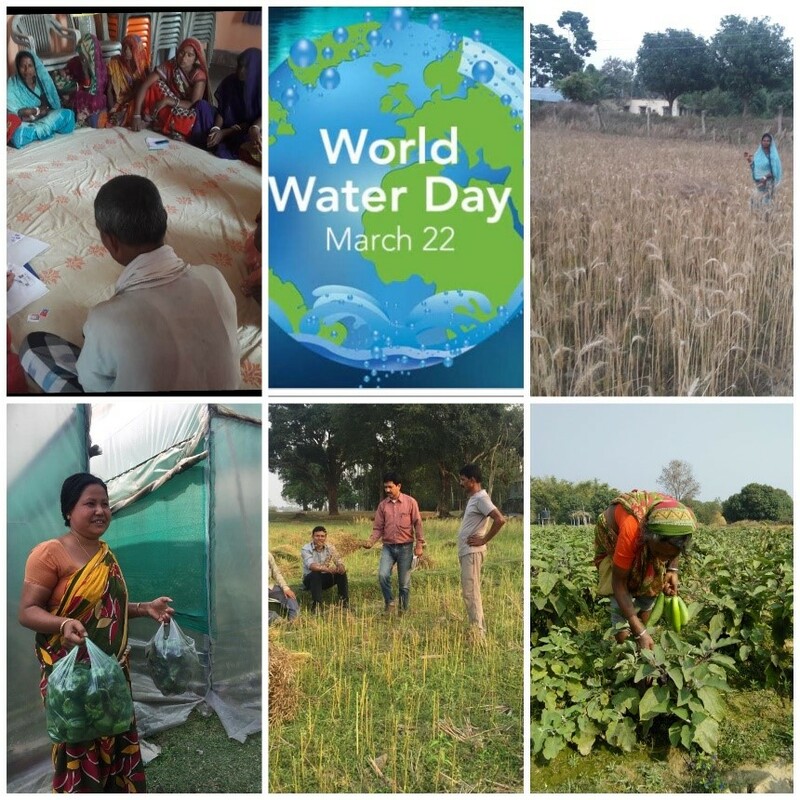 It is important to consider the progress we are making in our project which aims to improve the livelihoods of women, marginal and tenant farmers in the Eastern Gangetic Plains, through improved dry season irrigated agriculture. Now is a good time to reflect on how far we have come and how we are progressing towards answering our key research questions. The newsletter link below summarizes progress to date. A new Paradigm for Agriculture? Recent press coverage of the India Union Budget 2016/2017 highlights the close alignment of our work to national priorities. The article below provides a good summary. The need for production of non-cereal centric crops, with emphasis on better irrigation management using ponds and groundwater is emphasised. The need for improved water and fertilizer use efficiency and better energy management is stressed. Collective management of dry season irrigation production systems, by marginal communities, the focus of our project, can go a long way to inform future agricultural development needs.